I couldn’t let Global Running Day go by without some sort of celebration! How great is it that this “holiday” is now a global event?! I have not done a Q & A type post in a long while, so I am joining in on Kristen’s Blog. It’s not too late to answer the questions yourself and join in on the fun. Normally, Wednesday is not a run day for me but I can’t let that stop me this year. I will be attending a fun run tonight at Mad Fox Brewery led by my MRTT friend and blogger Erika (MCM Mama Runs). I am sure good times will be had by all. We are also celebrating all week long within our MRTT group at all of our group runs. I don’t set mileage goals because that stresses me out and running is a stress reliever for me after all. So far this year I have run about 321 miles give or take. In addition, I do a 1 mile warmup before my weight workouts but I don’t keep track of those. So far my big races have been Cherry Blossom 10 miler and American Odyssey Relay. What big events do you have on your race calendar this year? I am really excited for my sprint tri this weekend and then the Iron Girl Columbia tri in August. This fall I have already signed up for the MCM 10K and the Hershey Half. Who doesn’t want to run for chocolate? I am all about trying new races this year. I will be adding in a bunch of other shorter 5 and 10K’s as well as a few bike events. Before I leave for a run, I must have ? I must have coffee (or 2) and I have to eat breakfast. I am starving when I wake up! Do you track your runs? Currently I am using the Tom Tom Multisport watch to track my runs, swims and bike rides. I like having all my info in one place. My Moms Run This Town group of mamas of course! If you gave someone one piece of running advice, what would it be? Enjoy your run and run at your own pace. Describe your relationship with running in one word? How would you describe your running in one word? Celebrating Global Running Day today? It’s always encouraging to me to hear people I see as natural runner admit that it took a lot of work. It never came easy to me either! Isn’t it funny–you eat before you run and I don’t? If I’m running for more than an hour, then I eat but otherwise, I go without. I don’t always have time in the morning to eat and digest. I always have a cup of coffee tho! Hooray for Global Running Day! Today wasn’t a run day for me either but I couldn’t resist a quick sunrise run! 😉 Thanks for linking up and sharing! You have to run on running day right?! Your running gear is adorable!!!! Love it. I started running later in life too and couldn’t run a quarter mile. I think I appreciate it because of that challenge. I also wake up hungry and MUST eat! Happy GRD! Love this Q&A, enjoy celebrating this week! It is fun to read about how others answer the Q & A. Have a great day! Mary Beth Jackson recently posted…Celebrate Global Running Day! I’m so like you coffee and breakfast before a run always. People who can run without eating are medical marvel to me! Don’t forget to join up with us too! I love this fun survey! I also get stressed out by tracking mileage and setting mileage goals…running shouldn’t be stressful! Thanks for linking up!! I always have to eat breakfast before I run too. I can’t see how some run without eating before. My sister and I have been wanting to do the Hershey half one of these yrs. 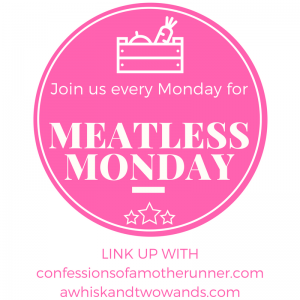 lacey@fairytalesandfitness.com recently posted…It’s 5K Month! Ooh maybe you 2 will come do Hershey with me? Great post! Thats pretty epic mileage for this early in the year! I can’t wait to read about the Hershey Half – that’s a bucket list race for me for sure! I realized it was a lot more miles that I have usually run by now. Hershey sounds fun doesn’t it?! Love the Hersey Half! I did the Hot Chocolate 15k and it was a blast! Good luck!!! I am excited about the Hershey half I have not done a half in a long time. I loved learning more about your running story. I had no idea you started running in your 30s! I wish I could join you and Erika on your run tonight! I love reading people’s running stories. I totally agree that one of the best parts is the community you find and become a part of when running. Runners are the best people! Thanks for linking up! Loved reading your interview! Cherry Blossom is such a great race! I try to make sure it is on my calendar each year! Enjoy the rest of your races this year! I feel like there’s so much joy in doing something that may not come naturally (like running for me) and still loving it. I love your running advice to run at your own pace – too often we get stuck in the comparison trap with others. I started running at 38… I usually do have to have a coffee before my run, but when on vacation and in a hotel ( or in an air-b-n as currently in Barcelona), then I will just get up and run without a coffee…. but the coffee makes such a difference!! I love seeing all that you do with running, all the different races and activities you get involved with. 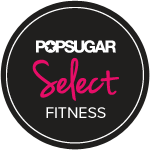 ..all your instagram pics of the fun workouts you do…. Hopefully when my youngest is a little older, I can get a little more involved as well! Paria@momontherunsanity.com recently posted…Marriage the Marathon – One Marathon and One Year Later. I’ve been seeing all your pic in Barcelona! It’s such a fun city enjoy and happy running day to you friend! I love this! Your MRTT chapter sounds really awesome. The one by me is too big. Happy Global Running Day! I love reading runners stories as everyone’s is different. Everyone starts for a different reason, loves it for a different reason, and some people take longer to really get in the grove. My husband isn’t much help for me because I have such a hard time with regulating my breathing and heart rate with running and for him it just came easy. Happy National Running Day my friend! It took me a while to figure out how to breath correctly as well. My relationship with running can be described as ever-changing. Especially now as a new mom, I feel like my relationship has changed significantly since before little man arrived. Running has taken on a new meaning to me, as its often my escape from the house and my chance to spend some time focusing on me. I would say my relationship with running is always changing as well and we have certainly had a love hate relationship at times. Happy Running Day! MRTT sounds like a great group, it’s amazing how we can go from barely knowing how to run to forming our own running clubs (I did the same with my coworkers!). Enjoy the day! I know crazy and great isn’t it?! That’s awesome that you started your own running group! I will also be running to celebrate the day, and like you, didn’t start running until I was in my 30s. Happy Running Day to you! TriGirl recently posted…Happy National Running Day! Thanks! I can’t remember how I survived all the long runs without them. How did I miss this questionnaire? It’s so much fun to learn more about you and your running. It also made me look up my running so far this year and I found that I’ve run around 355 miles. Pretty pleased with that since I started the year still recovering from my fractured patella. You should be! I am too as this is the most miles I have been able to log bc of so many injuries the past 2 years. yay us! Love your survey answers! I wish Falls Church wasn’t so congested after work – I’d love to join a Mad Fox run! Happy Running day! ???? I love how natural running seems for you! I wish I could eat first thing in the morning (or before running) but it always makes me feel awful! I don’t know that it feels natural per se but I do love it. Yes I definitely have to eat first I am starving in the morning. Love this! I started running in my 30s too, and it surely does NOT come naturally. But it’s been good for me and I love it, so it continues. Struggle, haha! It’s a struggle for me to accept that I’m a runner!! But sometimes those miles are a struggle for me to achieve. I’m working on it, for sure. I agree! Their loss for sure. Running does change your life doesn’t it. It is fun isn’t it?! Challenge or journey. Either of those would describe my running perfectly. Thanks for sharing! I am loving these posts and definitely going to join in, a little late, but Bette relate than never! I did not run do to an injury, but I am “running” vicariously through all me running friends! Thanks for joining us last night! You should come out more often – I never run very far or very hard. Wednesdays are more about the fun. 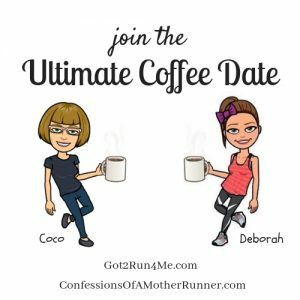 I started running in my mid thirties too… about 10 years ago ! I HATED running when I was younger, having runn Cross country one year in junior high. LOL. All I remember from that is shin splints. My current relationship with running ? Passionate ! It is great to have something that is all for you! Some people in my family think I am crazy too-they don’t know what they are missing. 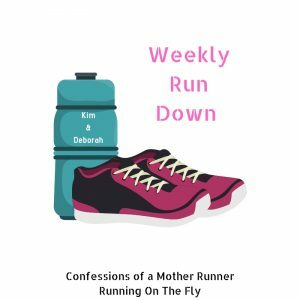 So great to hear that you love MRTT as much as I do. You had a much better celebration than I did as I was on a work trip and just couldn’t get a run in at all. I did walk all over a hilly mountain in work shoes so there’s that. I, too, have to have coffee and breakfast before I run. No matter what.